CCGrass has appointed Bryn Lee as managing director for their new European operations. Lee is well-informed about the artificial grass industry. Prior to joining CCGrass he held management positions at TigerTurf and Bonar Yarns, amongst many others. 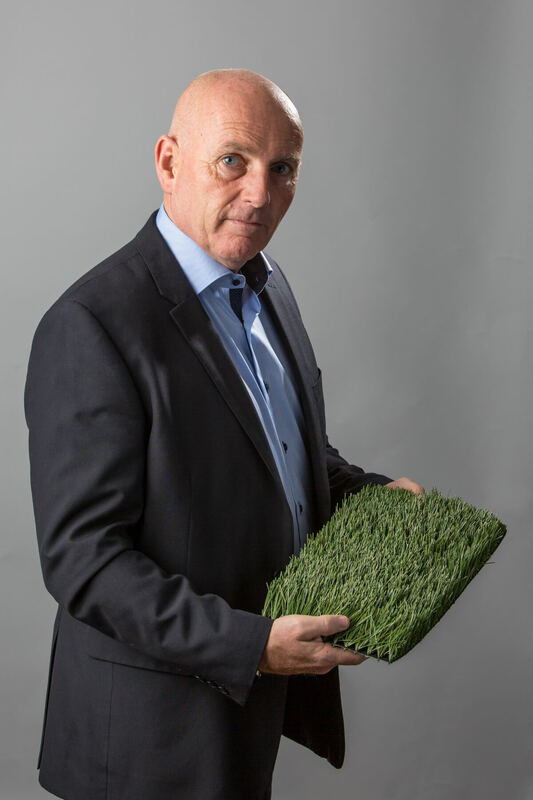 SportsTurf.eu spoke to Bryn Lee about the plans and ambitions CCGrass has for Europe. To many Europeans the brand CCGrass doesn’t ring a bell immediately. This is predominantly caused by ignorance on anything that hails from China. The country is often linked to products made from plastic, but for many people is also synonymous with ‘inferior quality’ and ‘poor service’. Reality is different, however. In 2011 AMI Research ranked CCGrass as the largest producer of artificial grass in the world. It is a position the company also holds in AMI’s 2016 Research Report. 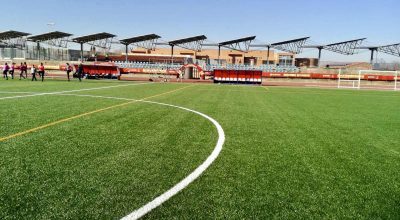 Since their inception in 2002, CCGrass has installed more than 100,000,000 m2 of artificial grass in more than 100 countries. The company has a large footprint in the landscaping industry, with international retail corporation Walmart as one of their biggest clients. 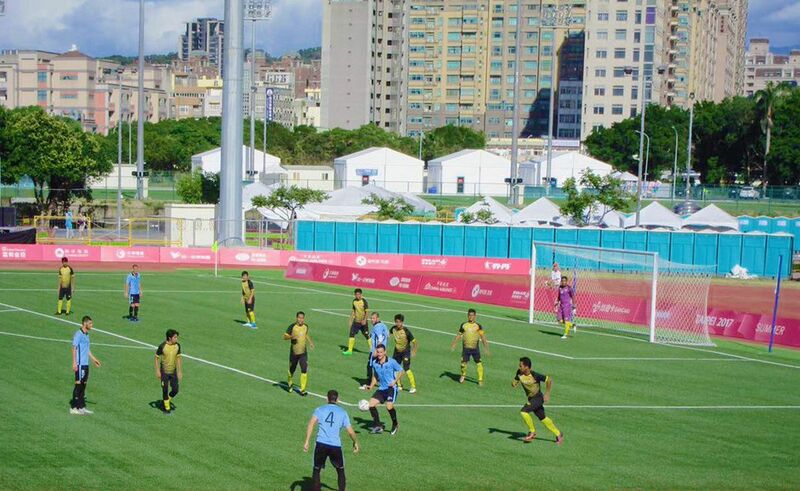 CCGrass is also one of only six FIFA Preferred Producers, the only Asian company that can claim the endorsement by the world football governing body, as well as an FIH Certified Manufacturer. 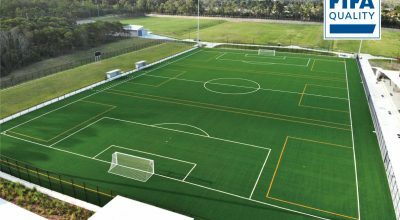 With the quality of their products tested and verified by test institutes like Sports Labs, Labosport, Kiwa ISA-Sport and SGS, and acknowledged by various sports governing bodies like FIFA and FIH, investing in an artificial grass sports surface from CCGrass will be a safe bet. The question is: where do you place your bargaining chips? You can rely on close to 30 years’ experience in the artificial grass industry and you worked for companies like the SIS Group, TigerTurf, Desso and Bonar Yarns. What made you decide to join CCGrass? Your Linkedin profile and the media announcement by CCGrass made us curious: please light the fuse to the cracker and announce the ‘big bang’! What will this mean for your production and services? Europeans have a hate-love relationship with plastic products from China. They are cheap, but often considered being of inferior quality. This perception was reflected at the 2017 FSB Show when the significant Chinese delegation was ignored by most of the visitors. Aren’t you afraid to receive a similar treatment? Will your European presence mean that we can soon expect lower priced artificial grass products from China to flood the market in Europe? Europeans are full of experiences and opinions. What will you offer them?